On March 15, 2019, Vonage Holdings Corp. (the Company) entered into an agreement (the Cooperation Agreement) with Legion Partners Asset Management, LLC and certain related investors (collectively, Legion Partners). to the Cooperation Agreement, the Companys Board of Directors increased the size of the Board from eight (8) to nine (9) directors and appointed Michael J. McConnell to fill the newly created directorship. Mr. McConnell will serve an initial term expiring at the Companys 2019 Annual Meeting of stockholders and will be included in the Boards slate of director nominees for election for a one-year term at the 2019 Annual Meeting. At the Companys 2019 Annual Meeting and at any special meeting of the Companys stockholders held prior to the date of termination of the Standstill Period (defined below), the Cooperation Agreement also requires Legion Partners to vote all of its shares of Company common stock in favor of the election of directors nominated by the Board and on other matters in accordance with the Boards recommendation, subject to certain exceptions. The Cooperation Agreement includes certain restrictions, applicable from March 15, 2019 until the date that is 15 calendar days prior to the last day of the advance notice period for the submission by stockholders of director nominations for the Companys 2020 Annual Meeting of stockholders, as set forth in the advance notice provisions of the Companys Amended and Restated By-laws (the Standstill Period), which is subject to earlier termination under certain circumstances. During the Standstill Period, Legion Partners is restricted from, among other things, proposing certain extraordinary transactions, engaging in any solicitation of proxies or written consents relating to the Company, or acquiring any Vonage securities or derivatives that would result in Legion Partners having beneficial ownership of more than 4.9% of the Companys outstanding common stock while the Companys Tax Benefits Preservation Plan is in effect, or more than 9.9% otherwise. The foregoing description of the Cooperation Agreement does not purport to be complete and is qualified in its entirety by reference to the Cooperation Agreement, which is filed as Exhibit 10.1 hereto, and is incorporated into this report by reference. As described in Item 1.01, on March 15, 2019, the Board increased the size of the Board from eight (8) to nine (9) directors and appointed Mr. McConnell to fill the newly created directorship. 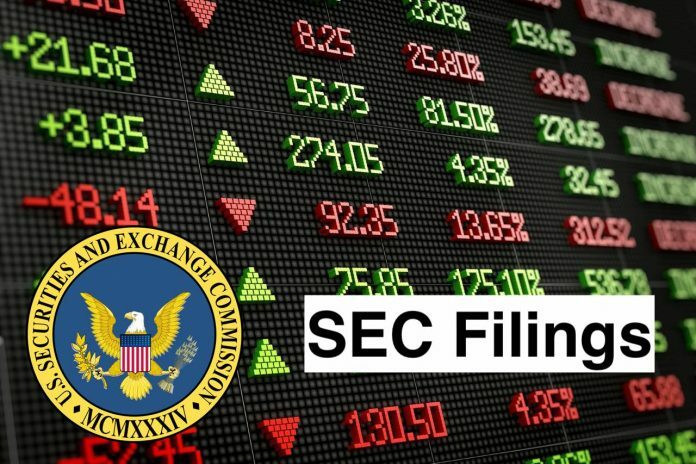 Mr. McConnell will be compensated on the same basis as all other non-employee directors of the Company, as described under Director Compensation in the Companys definitive proxy statement filed with the Securities and Exchange Commission on April 25, 2018 and is incorporated herein by reference. The information set forth in Item 1.01 is incorporated herein by reference into this Item 5.02, including for the purposes for providing a description of any arrangement or understanding between a newly appointed director and any other person to which Mr. McConnell was selected as a director. The Company issued a press release on March 15, 2019 announcing the execution of the Cooperation Agreement and the appointment of Mr. McConnell. A copy of this press release is included as Exhibit 99.1 to this Form 8-K. The information contained in the accompanying Exhibit 99.1 is being furnished to Item 7.01 of this Form 8-K and shall not be deemed to be filed for purposes of Section 18 of the Securities Exchange Act of 1934, as amended, or otherwise subject to the liabilities of that section. See accompanying Exhibit Index for a list of the exhibits filed or furnished with this Current Report on Form 8-K.
Vonage Holdings Corp. is a provider of cloud communications services for businesses and consumers, and consumer and business communication solutions across multiple devices. For business services customers, the Company provides cloud-based unified communications as a service (UCaaS) solutions, consisting of integrated voice, text, video, data, collaboration and mobile applications over its scalable session initiation protocol (SIP)-based voice over Internet protocol (VoIP) network. It serves a range of business markets, including the small and medium business (SMB), mid-market and enterprise segments. Its business solutions’ product families include Vonage Essentials, based on its call processing platform that is purpose-built for SMB and mid-market customers, and Vonage Premier, based on Broadsoft’s call processing platform in combination with its cloud-based solutions. Its consumer services strategy is focused on the North American markets.